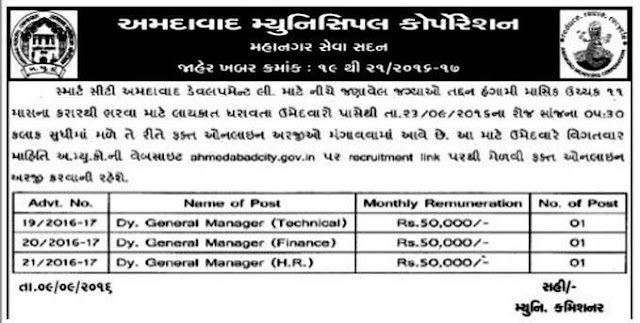 Ahmedabad Municipal Corporation (AMC), Ahmedabad Published Recruitment Notification for Dy. General Manager (Technical) and Dy. 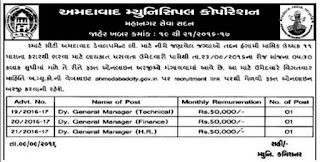 General Manager (H.R.) Posts.